Wish you had a roof rack for the pile of skis taking up all the room in your car? Or will you opt for a cargo box that can accommodate all your junk and leave more space for the kids? 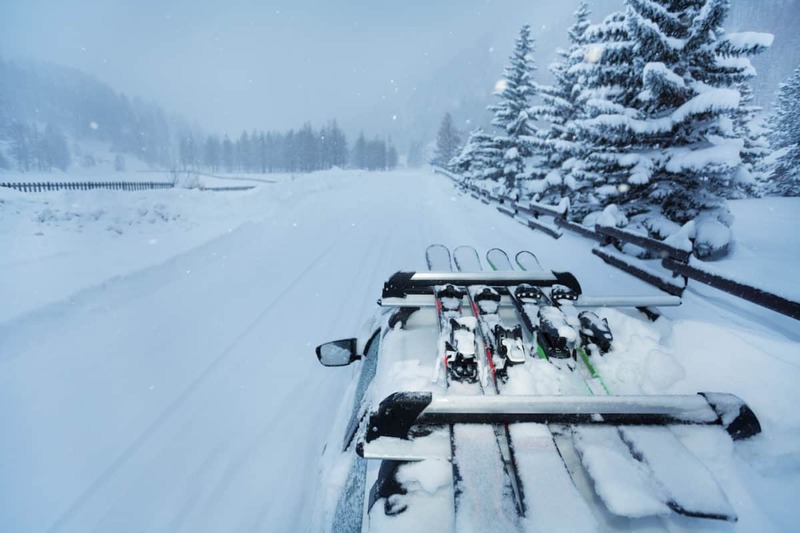 With so many models to choose from, the choice can be overwhelming – but choosing the best ski rack for your vehicle can really help you kick your ski trip off on the right foot! 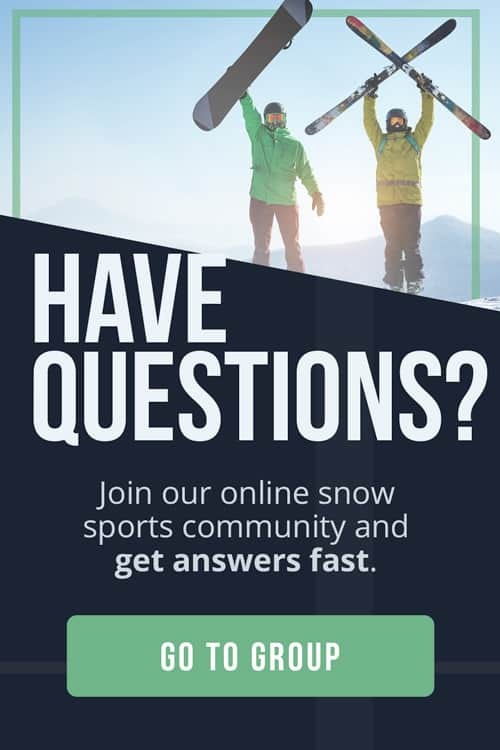 Here at The Adventure Junkies, we want to make your gear shopping easier so you can get out there and spend more time on the slopes. 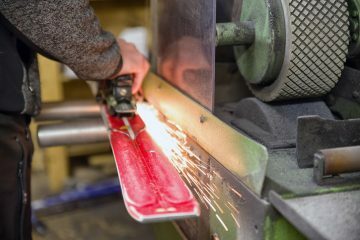 This guide will help you sort through the myriad of options out there in order to find the ski rack that is right for you. What kind of vehicle do you have? Does it already have a hitch or rails? 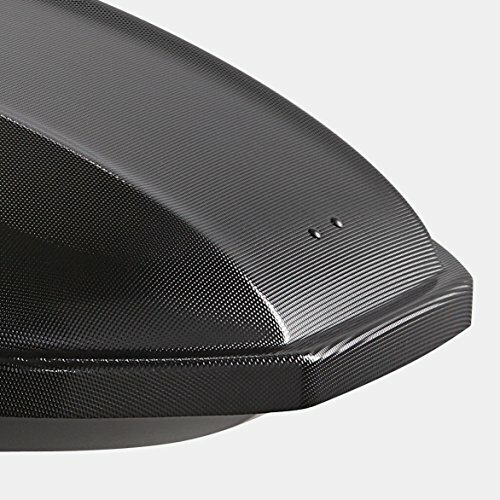 Is your car going to get scratched or inundated by the weight? 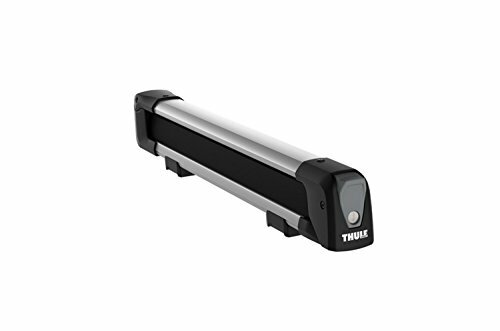 Cross-check the owner’s manual of your vehicle against the specifications of the ski rack – you can check out the Yakima or Thule websites to see which racks are compatible. Double-check your vehicle’s weight limits. Remember that your car also has a maximum overall weight limit which is affected by the number of people, etc. in the car. 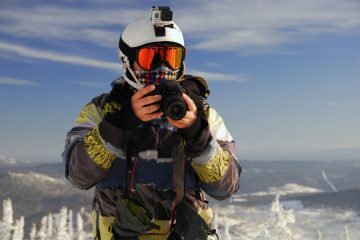 Are you bringing just skis and snowboards, or also other equipment such as bikes or kayaks? Think about how much space you need and whether you want the rack to carry camping supplies in the summer. 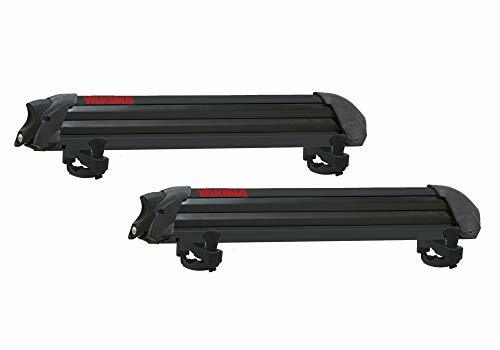 While the most common choice for transporting skis is a roof rack, you can also consider a cargo box or a hitch rack. Each of these three types has advantages and disadvantages. 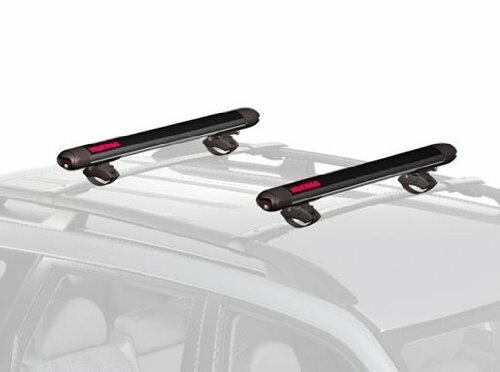 Roof ski racks are slim racks that attach to the top of your car. They usually stay on all the time and they can carry skis and snowboards, but also bikes or kayaks. Your car might already have a tower, crossbar or siderail that allows you to easily install a ski rack onto it, or you might have to buy one. Roof racks are slim and unobtrusive and don’t block visibility. As racks go they are relatively cheap, easy to install and easy to use. Skis are far from the salt on the highway. On the downside, roof racks can compromise overhead clearance. It might be difficult to load the gear that high. They require more maintenance because they are exposed to the elements, and they are not designed to be frequently taken on and off. The wind drag affects gas mileage and if you attach tall items, it affects the car’s stability. Whistling can be a problem at higher speeds. A cargo box is like a roof rack in that it sits on top of the car, but instead of a thin rack, it’s an entire box. This means it’s handy for carrying not only for your skis or snowboards, but literally anything, from camping supplies to climbing ropes. You can choose the size, colour and material, choosing from UV resistant options and waterproof options, and most boxes come with locks. One of the big advantages is the fact that you can put all your supplies into the box and have plenty of space in your car, without blocking driver visibility. In addition, your equipment will be safe from rain and road grime and less attractive to thieves. Finally, you can usually take the cargo box off easily in seasons when you don’t want to use it. Unfortunately, the whistling, the gas mileage and the overhead clearance are even worse than with a roof rack. Cargo boxes are also expensive. 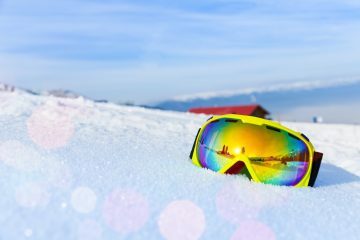 And some cargo boxes might be too short for your skis, while others will be too long, capable of catching an updraft or blocking the access to your trunk. A hitch rack is an attachment that clips to the hitch receiver on the back of your car. If your car doesn’t come with a hitch receiver, you can usually install one. Before attaching a hitch rack, check the compatibility of your vehicle’s hitch. Beware – the “tongue” weight, referring to the weight the hitch can handle if you load it as a rack and not as a towed item, is much less than the stated towing limit. 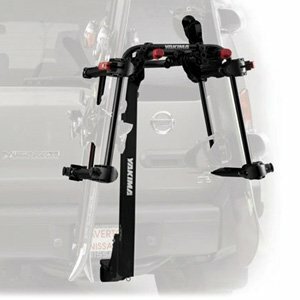 The advantages of using a hitch rack are that they are easier to install and it’s easier to load the gear, since you don’t have to lift it as high. Like the cargo box, a hitch rack comes off more easily than a roof rack when not in use. Some cheaper models block access to the trunk. 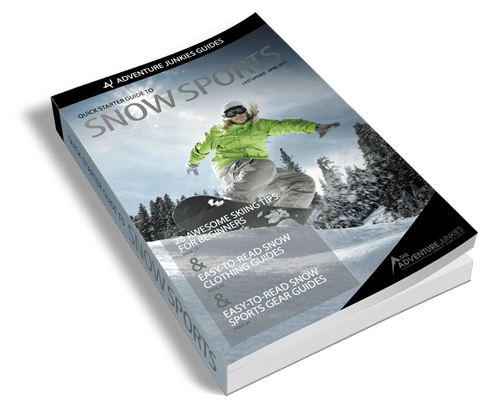 Skis and boards are closer to the ground and get dirtier. And while drag is not an issue here, a hitch rack does make it harder to maneuver your car into a tight parking space. A similar option to the hitch rack is the spare tire rack, which fits onto the spare tire at the back of some cars and can be adapted to carry skis and snowboards. 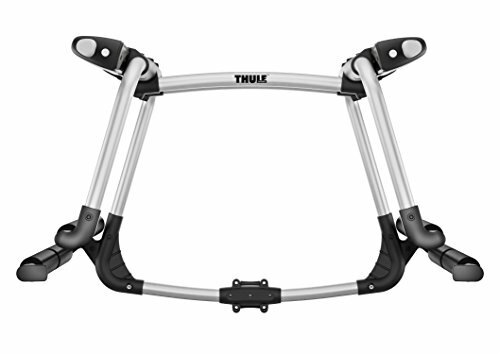 If you’re only carrying skis and snowboards, this would be the last option I would recommend, as spare tire racks are designed for people who mainly carry bicycles. Most racks are easy to install but look into this carefully if you plan on taking the rack off every season. Also, with a roof rack, some people might have trouble lifting the gear onto the top of the car. Hitch racks on the back of your car are easier to load, but then they might obstruct the access to your trunk. Both roof racks and cargo boxes can cause an annoying whistling sound when you’re rocketing along the highway. A word to the wise, sometimes all you need to do is straighten the rack to minimize whistling. With hitch racks mounted on the back of your car, this isn’t a factor. But roof racks, especially when carrying equipment, can cause drag in the wind over the top of your car, which reduces your gas mileage. Cargo boxes are usually even worse since they are bigger. Cargo boxes and roof racks add height to your car and make it difficult to enter some parking garages. One option is roof racks with adjustable springs. With a hitch rack, you’ll have no trouble getting into the garage, but you might have trouble parking! In terms of driver visibility, roof racks are a safer option because they don’t block your view at all.